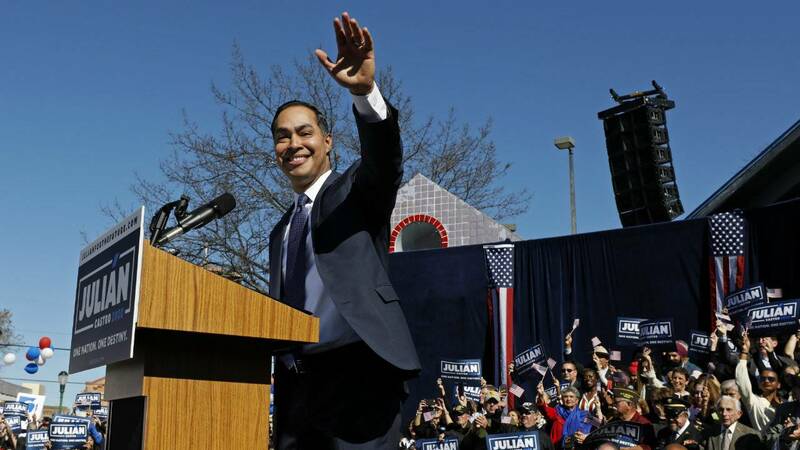 Who is Julian Castro, Democratic candidate for president? Julian Castro is hoping to become the second member of his family to currently hold political office in Washington. Castro’s twin brother, Joaquin, who is one minute younger than Julian, currently holds Texas’ 20th District seat in the U.S. House of Representatives. Julian is now aiming to join his brother in the nation’s capital, albeit in a more ambitious pursuit after he announced he was running for president on Jan. 12. Even though Julian hasn’t served in Congress like his brother, he still has experience working in Washington. Julian served as the U.S. Secretary of Housing and Urban Development under President Barack Obama from 2014-17. Julian also has experience being in charge, since he served as San Antonio’s mayor from 2009-2014. He was elected to the San Antonio City Council at age 26 and mayor of San Antonio at age 34. If Castro reaches his dream of becoming president, he will be the third-youngest ever elected. Click here to see more news about Julian Castro.